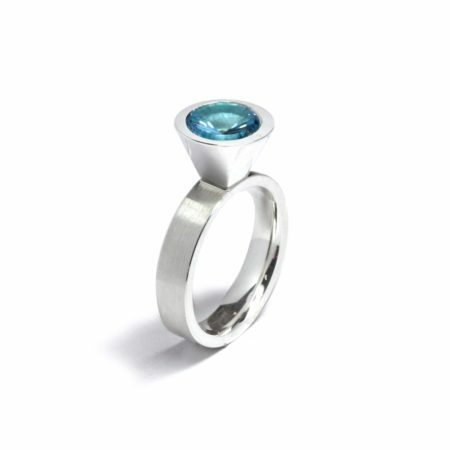 Cool and icy, the crisp modern cut of the sky blue topaz round gemstone in this edgy Cocktail Ring really works in the dynamic highly polish silver bezel setting. Measuring approximately 10mm across, eye-catching is an understatement! 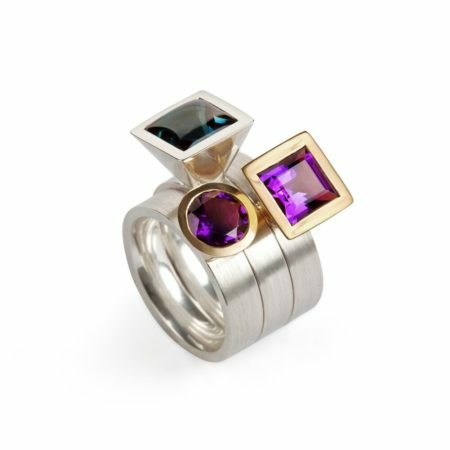 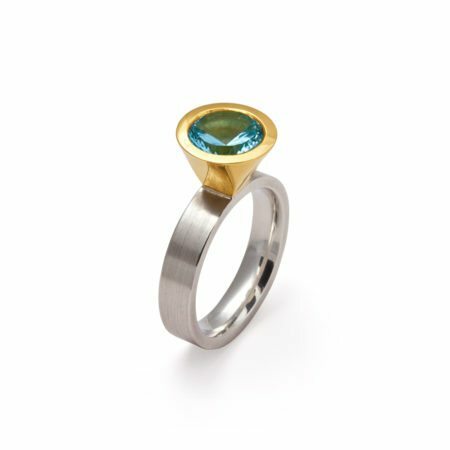 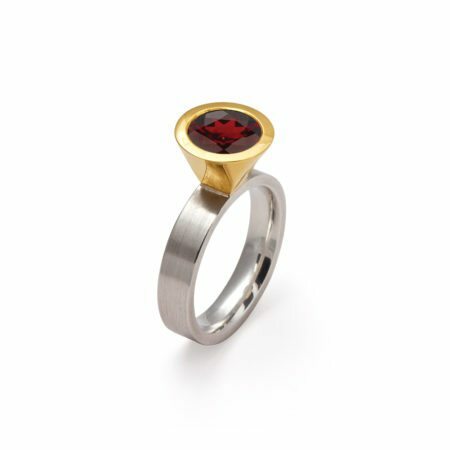 Designed by Ann Chapman and made to size in our in-house workshop, there are lots of coloured gemstones to choose from, as well as shape possibilities. Contact us and we’ll be very happy to talk through ideas with you.